"Three Decades of PV Experience, Reliability and Energy Production Results"
How important is it to make the right PV technology choices and decisions? 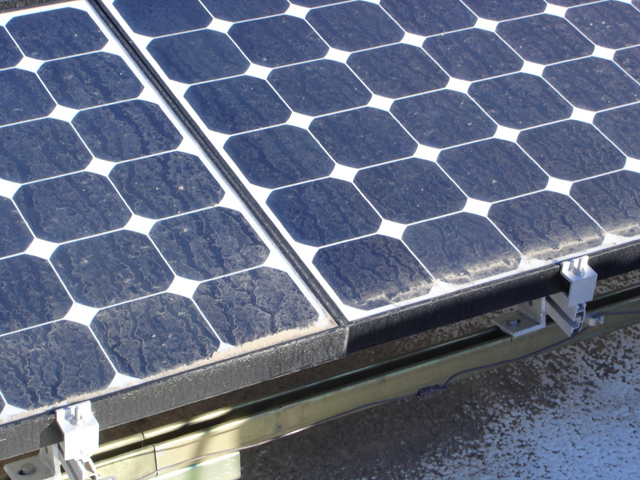 How does a customer or HPPV make the correct PV technology choices and decisions? How do we know we selected the correct technology? Can HPPV provide the best optimal design for the project site and the environment? If there are no design and installation standards in the PV industry what standards should we be using? Maintenance can be important to critical. Why do we need the right group of specifications? What does it mean when a vendors says, we use the same specifications and design all over the country? Do we chose low cost or high performance, and why? How much of a difference in first cost dollars is there between a least cost system and a high performance system? How much difference is there over the life of the system when you compare least cost with high performance? Do we need to have my system design reviewed by a third party prior to permitting? What value does a “Peer” design review offer? How will we know we are getting more kilowatt hours per dollar invested over time (20-40 years)? Is 40 year design realistic or practical? Will the technology today support a 40 year plus system life and how will it do so? Why do least cost systems have a shorter usable service life? What is a reasonable life of a PV system and how much will design impact that life? What maintenance can be expected to keep the system in top working order? Is there a difference in PV components, and if so how much? Vendors tell me that PV is a commodity, is that true and what does it mean? How do we select the right vendor, integrator, designer and or installer? How do we reduce or mitigate the fiscal and liability risk on my PV investment? What kind of testing will my system require? Why do we need to monitor my PV system? What is third party PV system commissioning and what does it consist of? Does my system need third party commissioning, and why should I pay for it? What is forensic PV analysis? Our company installed a commercial PV system, how do we know it is operating properly? Can our PV system be made to work better than it is operating right now? A PV vendor is offering us the latest “brand new” technology, how can we effectively evaluate this versus older technology? What technology works at my site and in our site environment? In PV system design is there a difference between design with ambient temperatures and cell temperature? Why does most PV system design rely on ambient temperature? Does ambient temperature design result in an accurate design window? What does ambient temperature at the airport 30 miles away have to do with how my system performs? The PV vendor’s manufacturer provides a generic design process for their systems, is it reliable? Our business and system site location is in the desert or extremely cold north, how do we know if the manufacturers and PV companies have properly accounted for our conditions? A PV vendor has a super low price on equipment, what do I need to know about his specs on this equipment? Is their a difference in PV design?